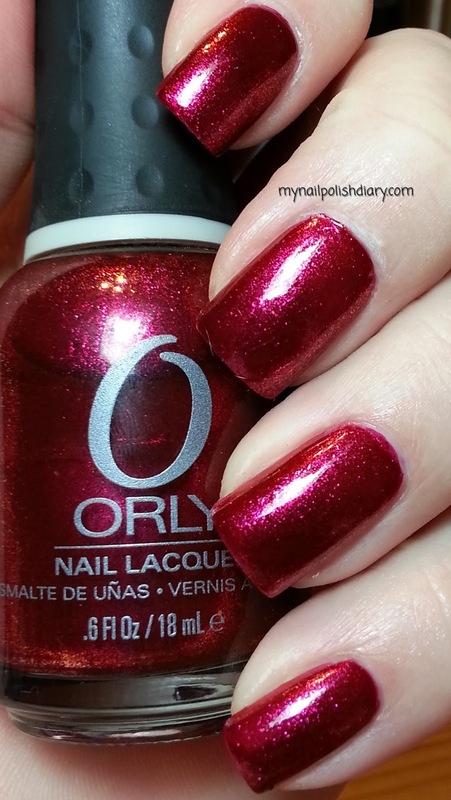 Orly Rock-It is from the amazing Mineral FX collection released back in the fall of 2011. It's the perfect shade for fall and I really like this one. The formula for me was a little thinner than I prefer and I ended up having one nail pool at the cuticle. Since it's so saturated with color it ended up staining that cuticle a little. It didn't stain for long and wasn't really a bother to me. I almost never get chipping with Orly. Another reason I like the brand!